Before we begin, let's make it clear that the Samsung Galaxy S4 is among the greatest smartphones money can buy today. With all its awesome features, Samsung's flagship is at least a gazillion times better than a Nokia 3310. However, isn't it funny how in some ways a Nokia 3310 is still superior? Just think about it – the Samsung Galaxy S4 is pretty and all, but it is also fragile, while the Nokia 3310's durability has helped it achieve legendary status. Also, the Nokia 3310 could last for days on a single charge, while a typical smartphone, even the Galaxy S4, would need to be recharged almost on a daily basis. And that's not all. Read on to learn why a Nokia 3310 is still in some ways better than the Galaxy S4. The Nokia 3310 was a rather simple device and its plastic panels could be replaced easily if cracked or damaged. Repairing the Samsung Galaxy S4, however, will require time, skill, and most importantly, lots of money. 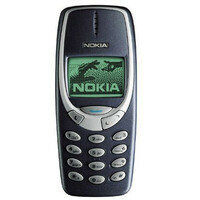 The Nokia 3310 was built to last, and besides, there wasn't a whole lot on it that could break. The Samsung Galaxy S4, however, might suffer some serious damage only after a couple of drops, and that 5-inch screen is vulnerable to scratching and cracking. If you buy a Samsung Galaxy S4, chances are that you'll be recharging its battery on a daily basis, or at least every other day, depending on how much you use it. The Nokia 3310, however, could last for days without needing a recharge. That was, of course, due to the fact that one couldn't really do a whole lot on it so it just stood on stand-by 95% of the time, but hey, when you needed to make a call, the humble 3310 was always ready. The Samsung Galaxy S4 costs about $630 when bought without carrier subsidy. That's quite more than what the Nokia 3310 was priced at launch even after you throw inflation into the equation. Today, a second-hand unit can probably be bought on eBay for about $20. The Super AMOLED screen on the Samsung Galaxy S4 is amazing, but it doesn't look as good if the sun is shining straight at it. The Nokia 3310, however, with its monochrome LCD display, could be used just fine under the sun's scorching rays. Okay, we do admit that the loudspeaker on the Galaxy S4 is loud enough so you can easily hear it when it is ringing. However, the monophonic ringtones on the Nokia 3310, composed of simple square audio waves, could be heard from a further distance. The Nokia 3310 had a built-in tool allowing one to compose their own ringtone. Up to five of these could be saved onto the device. The Samsung Galaxy S4 doesn't have that, but at least it lets you set a song stored onto the device as a ringtone. The Nokia 3310 came with four games out of the box: Pairs II, Space Impact, Bantumi, and the hugely popular Snake II. The Samsung Galaxy S4 may support tons of awesome games, yet not a single one comes pre-loaded. To dial 911, 112, or any local emergency number, one could just start typing straight from the lock screen. In other words, it took four presses of a button to call for emergency. On the Galaxy S4 you have to unlock the lock screen, open the phone app, open the dialer, and then type the emergency number you want to dial. Sure, it takes just 10 more seconds or so, but these 10 seconds may make a difference in extreme cases. From a thieve's perspective, a Samsung Galaxy S4 is a lot more valuable than a Nokia 3310. If you lose an S4 or if it gets stolen, chances are you will not ever see it again. A Nokia 3310, however, isn't as valuable so it won't attract a thief's prying eyes. No way we can compare Nokia 3310 with any phone. Its the hulk, undisputed king in durability. I will put my old nokia 252 up against this thing. I've dropped it in a lake, dried it out and 2 days later it started working again... it also fell out of my truck into a puddle and froze, the next day I found it and busted it out with an ice pick. cracked the screen with the pick but phone worked fine. Ummm, no, he's being objective. This article is ridiculous. Nope, it sends texts too. And plays Snake. This article is pointless. You could do this for any device in any form of technology. One thing is never better than something in everything. i think it beats almost all current day smart phones in above all comparisons or at least couple of them. I can't wait to buy this phone!! :) bring it on NOKIA!! Bring it on? It was discontinued long time ago! If you really want it, try eBay or Amazon, I believe they're still selling this son of a hulk. Good luck. And when they throw it the ground break under the phone. holly! gotta be careful, a nokia thrown at your head could result in severe brain damage, or death! This is the best article I've ever read in PhoneArena, thank you Nick! Nokia 3310 rocks! Your comments are useless, Nicholas. Lol Just kidding bro, take it easy! I forgot to type the word "lol", sorry about that! This article makes me happy. this ain't a bb article, You do realize that eh? The only phone that will work during a zombie apocalypse will be a tin can. 3310 will work for a week though you could probably get a month out of it by switching it on on a need to use basis. Though don't know how long the cell towers will work or how long electricity will work with no one manning their stations.